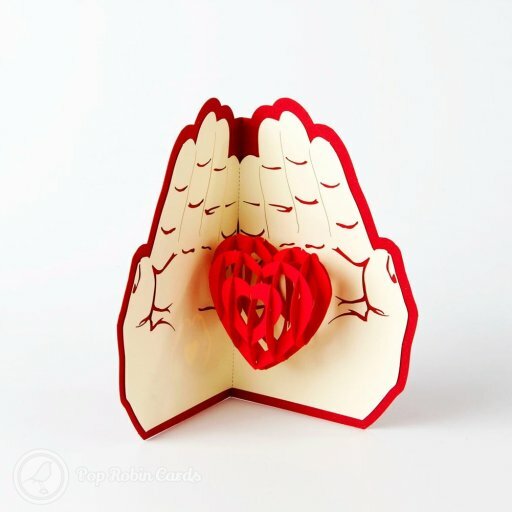 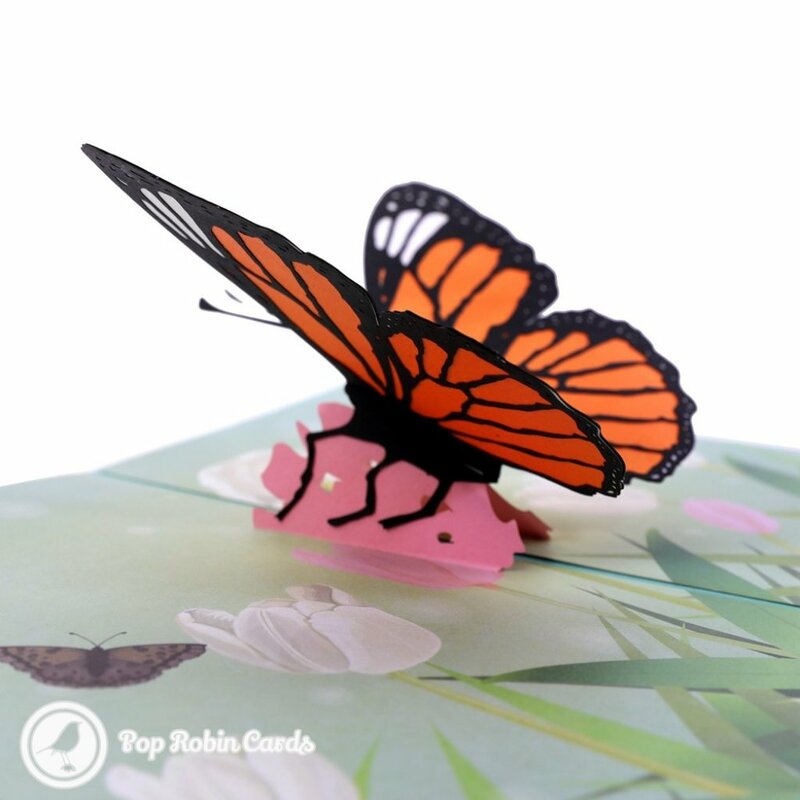 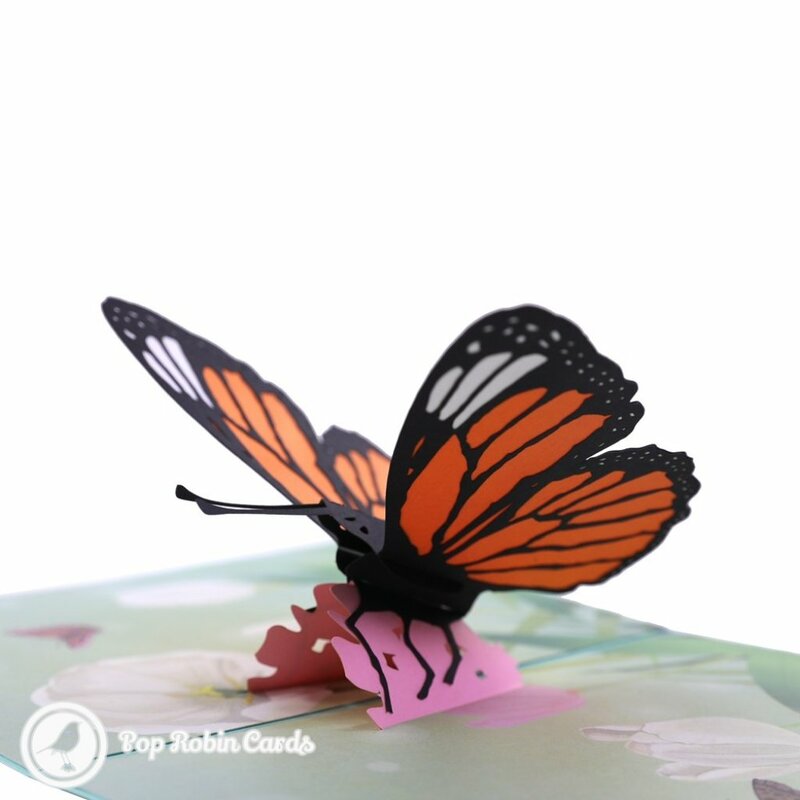 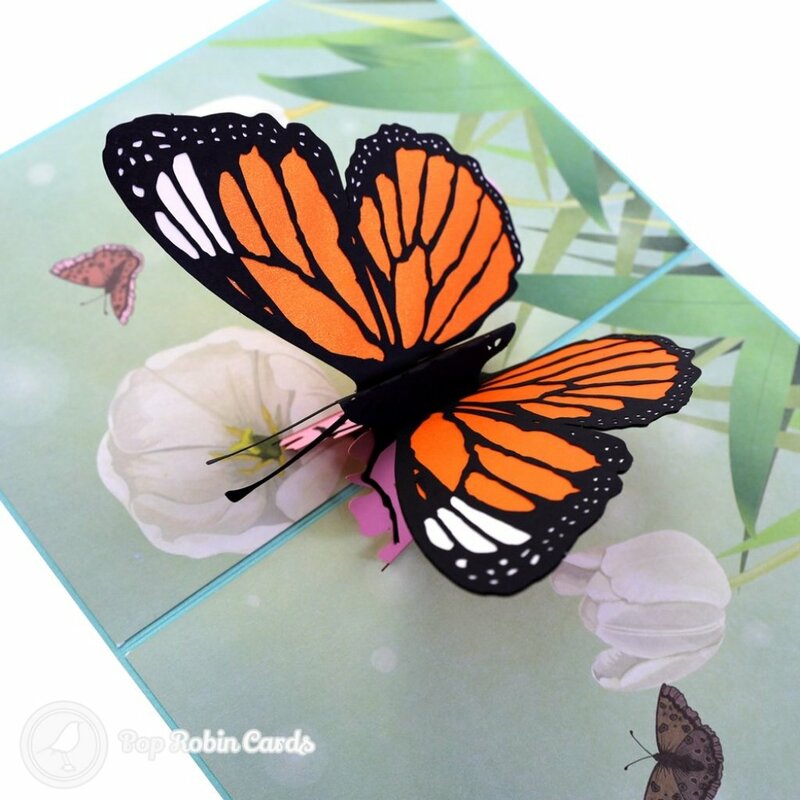 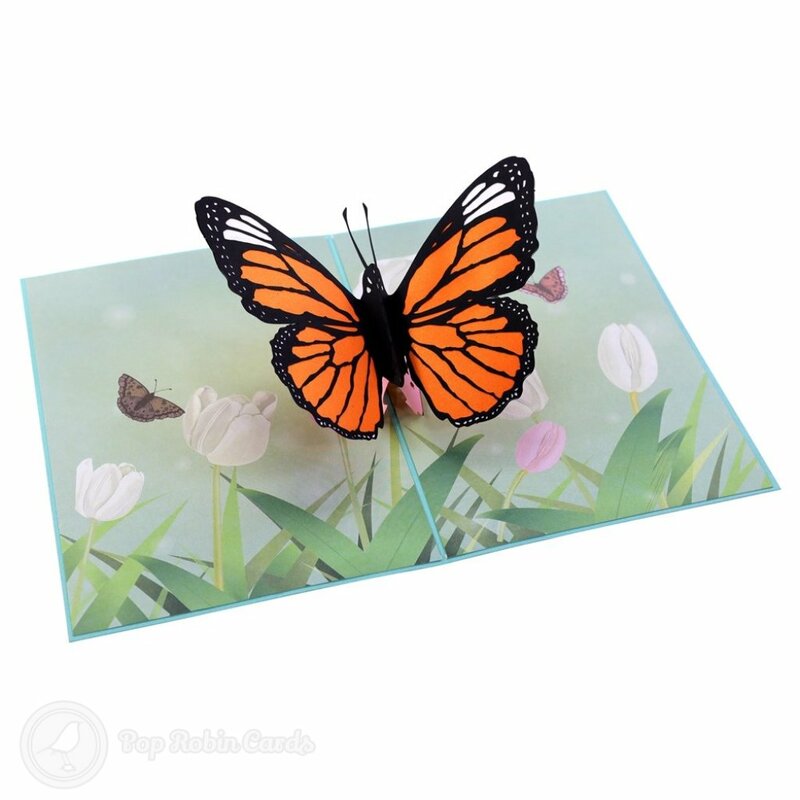 This amazing greetings card opens to reveal a 3D pop up design showing a beautiful monarch butterfly. 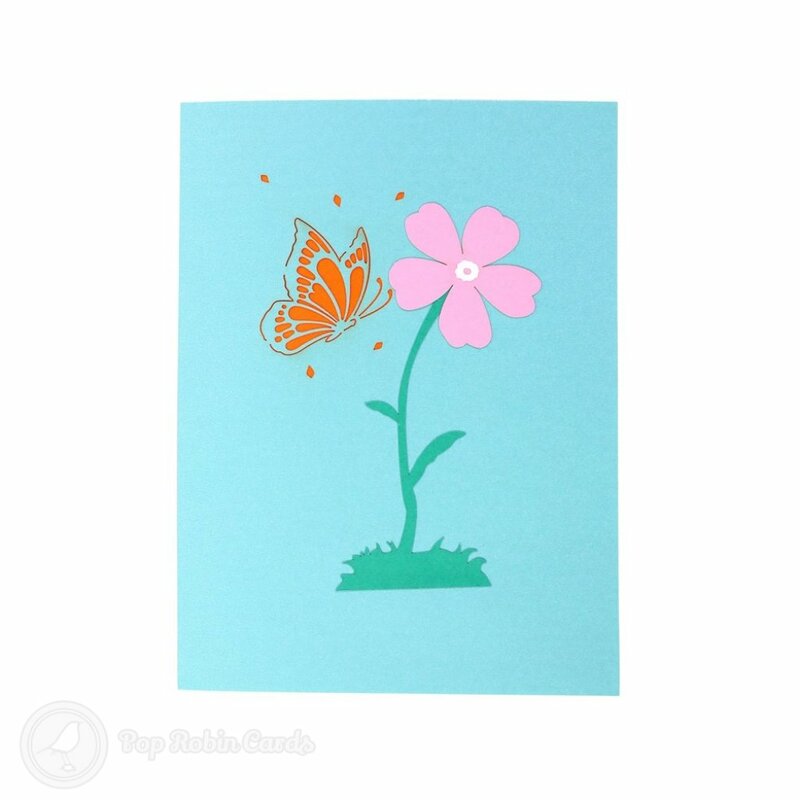 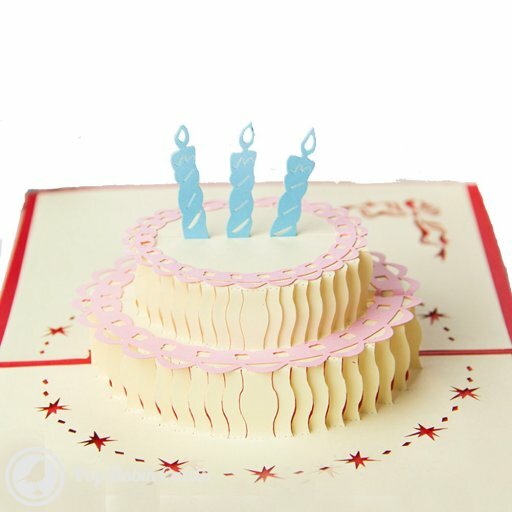 The inside of the card is decorated with images of a flowery meadow. 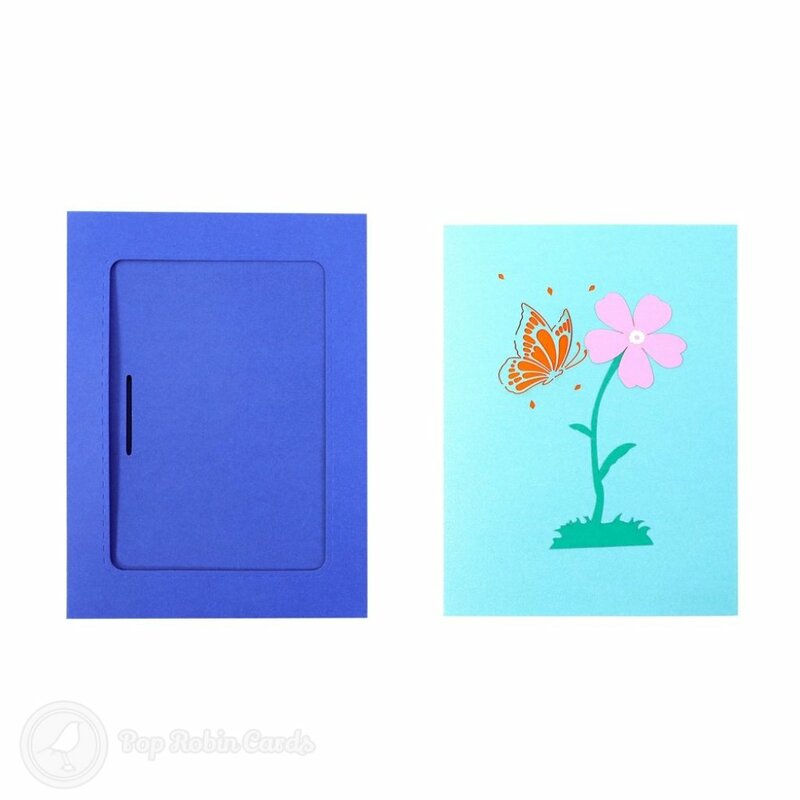 A presentation envelope with a window is included.